Although it is important to consider any feedback you are getting, during your preparation for IELTS you should not rely only on your teacher for guidance and new language. There is a lot you can learn from different other sources if you take consistent notes on your own as well. Here are some tips how. When you have done an IELTS reading exercise, make sure you automatically look for about 5 new words from every text you have read in it. Take note of these into your exercise book, using the definition you have found in your (monolingual) dictionary, as well as copying out parts of the context in which you found them. Similarly, when you have finished doing an IELTS listening mock exam, it is good practice to always go to the transcript, if you have access to it. Analyzing it you will not only be able to understand your mistakes by identifying what the textual evidence was for each mistake you had, but pick up new words, expressions from it to take note of. Other than practicing with the help of IELTS materials, you should also do a lot of authentic listenings while preparing for the exam. For this you can use various podcasts, YouTube, or TED. Make sure you choose lectures, videos, or interviews about topics that personally interest you, as this will you motivate you further. Use the first listening to get the gist of the material, and during the second (or third) playing put the subtitles on. In the case of podcasts read their transcripts to pick some new words and expressions from and look them up. Depending on the type of the audio material some of the new vocabulary and lexico-grammatical expressions in it might be of a very formal or informal register. Do not forget to mark the style of the new words in your notes. In the exam you have to write your letter, descriptive report or essay without the help of a dictionary or even your smart phone. During your preparation, however, sometimes you should allow yourself to use a dictionary or the Internet when you are not sure of a word or expression that you want to use. Once you have looked up the lexis you needed, take note of it into your exercise book and if a teacher is providing you with expert feedback on your writings, let them know of the number of times you used outside help, as this will probably slightly modify your assessment. Another great way to pick up new vocabulary while practicing your speaking skills is by talking to yourself, narrating life or your thoughts on things in general. Even though this might seem like some strange behavior to the people living with you at first, doing so will help you formulate your thoughts faster, more accurately and naturally over time, improve your pronunciation and last but not least, prompt you to look certain words up in a dictionary that you want to use and know in your mother tongue but do not know in English yet. Get into the habit of writing these down into your exercise book as well. A great way to record new vocabulary while revising what you already know is by defining the new word with the help of its synonyms (=words of a similar meaning). Alternately, you might also want to write down the opposite of a word or expression, to achieve the same recycling effect while learning new language. In some cases you might decide that you simply do not know enough synonyms or antonyms for a new word yet but have made sure that you clearly understood its meaning and are certain of its translation in your first language. Above an intermediate level (IELTS 5.0) it is recommended that you get into the habit of recording new lexis increasingly only in English. We do not know all the words in our mother tongues either, let alone in a foreign language. This is fine. Some vocabulary is simply too technical for us to learn, even in our native language. If you want to record some new language whose exact equivalent in your L1 you are not sure of, you might decide to write a brief summary of the concept into your notes. Similar to providing a short explanation for an idea, you might want to describe a mini context, possibly taken from a reading or listening that you have done, in which the word or thing is used to help you memorize it. Sometimes it also helps if you include examples of the concept. If you are a visual learner, you might remember new words best by using colorful sticky notes. You can use different shades, sizes and shapes to categorize the new vocabulary you have learned from the above mentioned different sources. You might stick them at different places in your home, and move them around from time to time for revision. Similar to Post Its, you could have cardboard cards in your pockets with the new words on. These can then be carried around and revised on the bus or while standing in line at the supermarket to make the most of dead time. If you practically never take note by hand anymore and all your notes are digital, you could create a system for your IELTS vocab notes on your tablet or cel too. These can then also be saved in the cloud and retrieved from time to time for revision. 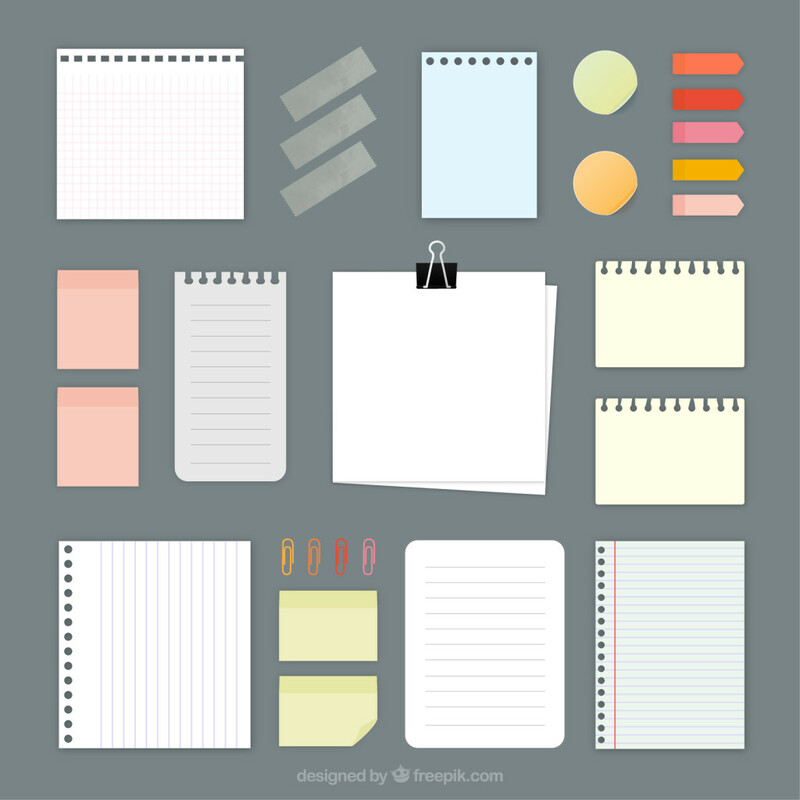 Classical paper notepads are for the old-fashioned learner. You can color-code the content in these either by writing in different colors to start with, or by highlighting any useful information you want to give more importance to using highlighter pens. An added benefit of documenting new language with their help if you are preparing for the paper-based version of IELTS is that your handwriting will improve, which is useful as in the writing (as well as the listening and reading) part of the exam it is your responsibility that what you put down on the answer sheet is legible. Some students use a small whiteboard at home to record the ‘Words of the Week’ on. The only disadvantage of this system is that if you have not learned the new expressions on it by the time the week is over you might need to copy them into a more permanent collection you maintain in your iPad or notebook. How do you take note to help you prepare for your IELTS?